At my first MHCMUN meeting, Kelly Charest ’17 and Maria Saraf ’16 spoke about “power posing.” This means standing in a posture of confidence that makes you look confident even when you do not feel confident. Plus it triggers hormones that cause you to be confident. I left the meeting thinking, “Well, they are awesome!” Power posing is a highly transferable skill; I could apply it in MHCMUN and also when giving class presentations. If MHCMUN could teach me this much in one meeting, what else could it teach me? I was hooked. Elisabeth Lee ’18, MHCMUN’s General Assembly (GA) trainer, quickly became my idol. She can convince people that they have the ability to do anything, even giving a speech about a random topic or a cause they don’t believe in. I wanted to learn to have that same effect on others. When the opportunity arose in fall 2015 to become assistant GA trainer, I jumped at it. Fast-forward to December 2015. I was preparing for my very first conference: Harvard National Model United Nations (HNMUN). In February 2016, I would join 3,500 students from around the world at one of the most competitive of the collegiate conferences. Our team leaders selected eight MoHos to attend. I was the only one with no prior Model UN experience. My assigned country? Ireland. My assigned committee? The International Organization for Migration, which focuses on migration, resettlement, and refugee placement. Ireland is not necessarily the country that individuals seeking to resettle or migrate want to go to, due to its weather, economy, and lack of diversity. What was I to accomplish as Ireland? To find out, I investigated Ireland’s economic outlook, statistics about population and migration, and policies relating to the Syrian refugee crisis. I read books and online sources and spoke with the Irish embassy. 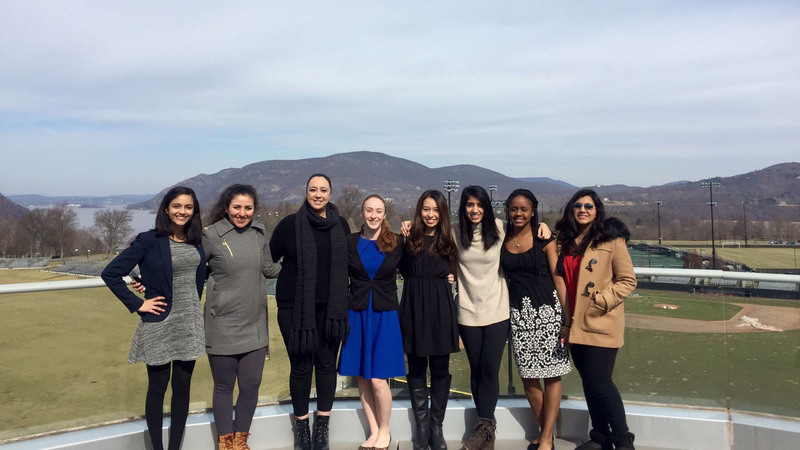 In January 2016, I was assigned a mentor: the Marwa Mikati ’17. Marwa is president of MHCMUN. 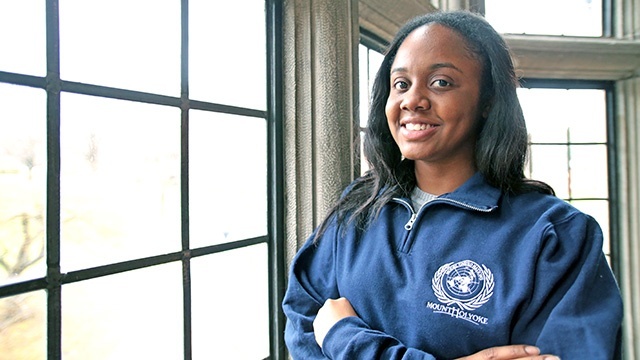 She is a strong, powerful woman—the epitome of Mount Holyoke. During our first mentoring date, Marwa helped me with points I was less sure about and told me to brace myself for an intense competition; she had participated in HNMUN in 2015. She shared strategies on meeting people, compiling information, and using speech techniques. HNMUN was as cutthroat as I had expected. The first day, I was too nervous to be effective. Not because I was unprepared but because I was intimidated. That was my biggest takeaway from the event: people will try to make you feel smaller if you give them the power. Lucky for me, my MHCMUN familia had my back. After every committee session, we met with our GA trainer, Elisabeth, for feedback, advice, and emotional support. (And some ranting, a cathartic pleasure!) It is easy to get overwhelmed when you are in a room with 80 people who all want to see you mess up. It’s chaotic. It’s intimidating. And things go haywire. So why do I do it? Why stay with Model UN? Because it is riveting to prove to myself and to others that I am a force to be reckoned with. Model UN sharpens my mind, quickens my wit, and boosts my confidence. It teaches me to be flexible and unrelenting. It equips me with skills for interacting with people I don’t agree with. I stay because of the strong sisterhood and camaraderie. I stay because I hope to be the next Amal Clooney, advocating for human rights around the world. 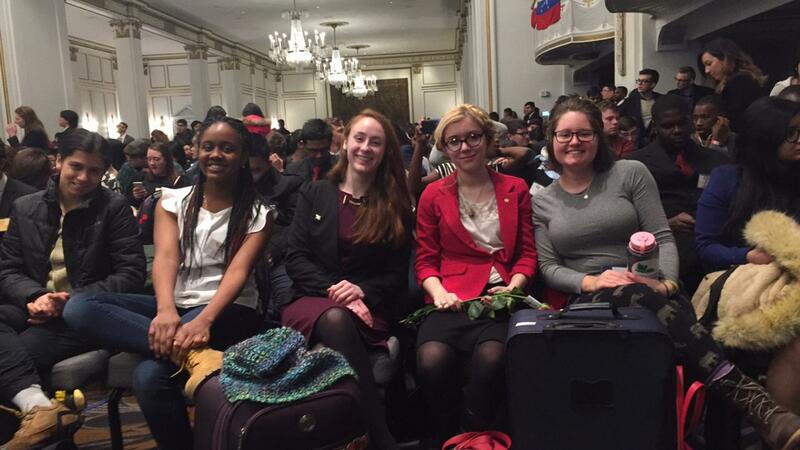 This is the first blog in a four-part series featuring members of MHC’s formidable Model UN team and their spring 2016 conferences. Read the full series.